You may not have heard about it, but many years ago I used to have strongly worded arguments with my mother about washing the bathroom floor, mainly about the fact that I wouldn't do it. My argument, which I thought a strong one, was that it would only get dirty again. Since then, I have learned, for a man, keeping the bathroom clean is easy. You pay someone else to do it. Or you acquire female flatmates (women who know...) that beat you with small forest animals until you clasp a mop in your quivering hands and get down to business. Keeping the body clean is less easy. I suppose you could pay someone to do it, but that might get complicated, and if you pause to think of a cleaning lady (or flatmate... shudder) with only a cloth between her and your special places, you'll probably head to the shower alone. Maybe. The first law of the shower states that no two shower controls in the universe are the same. The second law states that the markings on the shower controls bear no relation to the temperature of the water. The third states that, however much a shower control may rotate, the difference between a manly shriek of scalded horror and a manly sigh of contented pleasure is never more than one millimetre. Years of research and millions of dollars have gone into perfecting a vinyl/plastic/composite bathroom floor material that grips nicely when dry but is deadly when wet. It kills people. Shatters hips, knees and dignity. Of course, when falling you always manage to flick the shower control that one important millimetre and end up crying and scalded or freezing. Baths however are splendid for some things. The first of which is eating, because a bath is a ready-made and efficient rubbish trap. They're also good for reading in - but not borrowed books. Rule one of baths is that borrowed books fall into it. Rule two is that all other books do too. 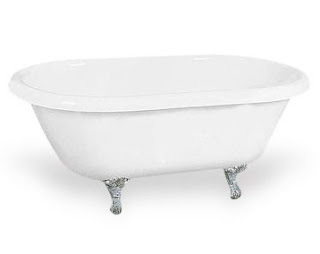 Baths also have the added benefit of providing a little extra room for a companion. For this to work with any success you must ensure that you have known the person opposite/on top/under you for at least a week. And don't offer to pay them to clean the bathroom when you're done. That would end badly. Trust me on this. Hey I'd love to thank you for such a terrific quality forum!